Jive Tribe | Woody Accouche | OK Listen! Conceptualized as a jam based Reggae and Folk Rock band, Woody Accouche Project was founded in Delhi, India by Singer/Songwriter Calvin Wumbaya in 2013, as an acoustic and organic band that could blend the subtleties of classical instruments with contemporary folk, rock, rhythm, and lyrics. 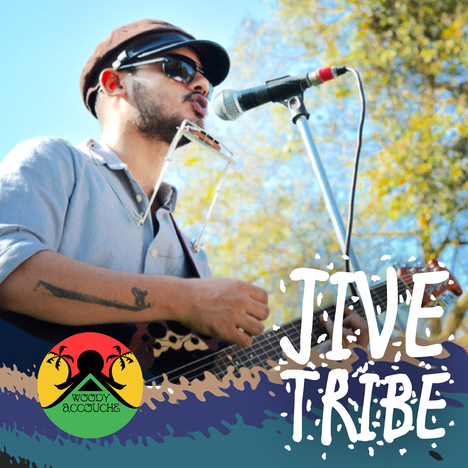 Our Band Members have been performing and collaborating with various musicians from around the world gathering inputs and influences for Woody Accouche Project`s keenly awaited debut album titled JIVE TRIBE. The Rastafarian vibrance and energetic Folk propaganda in the music is a culmination of the musicians` many experiences with art and music from around the world.